... and thank you. The world's a less interesting place without you in it. "The World Behind" Now Available! Well, sort of, at least. 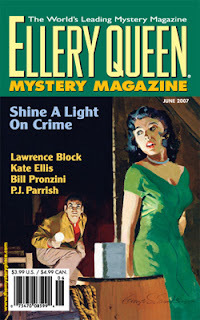 I got word from a good friend and EQMM subscriber that the June 2007 issue arrived in her mailbox yesterday. She further assured me that my acceptance was not, in fact, some sort of elaborate prank, as The World Behind was really, actually, um, in it. So good on me, then.